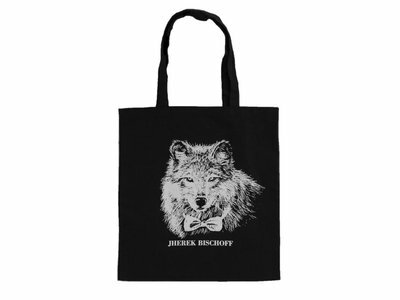 White wolf with bow tie screen-printed on a lightweight black cotton tote bag. Plain back. Measurements - Width: 14.5" / Height: 16" / Handle Drop: 10"